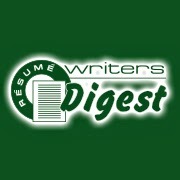 "What can Resume Writers' Digest and BeAResumeWriter.com provide you with that you're not getting anywhere else? Any other comments/feedback?" "The wonderful client articles to share." "I get so much more from BARW than any other association!" "I like the pass-along materials and use them to create passive income in my business." "Keep up the great work -- have LOVED everything you write and send out to us!" "Developing a business model which is highly personalized and incorporates goals for establishing balance between work and real life. A holistic approach to creating a realistic work/life blend. Filtering out the noise and editing 'what to say no to.' My mind is an overachiever and has set me up for a good deal of stress; my heart (and my husband) just wants my personal time back!" "I like the tools/templates you make available. I like having quality tools I can easily access and adapt to meet my needs despite a very busy schedule." "You are doing an amazing job -- just keep doing what you are doing!" "Focus on ideas for improved materials used in the industry." "Forms for managing client workload - i.e., a good "Tracking Form"
"Content if I ever set up a blog or newsletter to send out to potential clients." "I absolutely love the LinkedIn guide you wrote and then updated. I'd love more templates and guides for additional document writing, such as reference page and guides, social media updating guides, etc. Things I can give or sell to my clients as an added benefit to my resume writing." "Guidebooks and information sheets to give to clients as part of paid packages." "Resume writing/career coaching book recommendations. Contract samples/templates. Scripts for talking to referral partners (especially recruiters)." "You are already doing it, and doing it well!" "Show us how to set up merge fields in resume documents, invoices, contracts, etc. to save time when dealing with clients. That way, we only need to type the name, email, address, phone number in once, and then it automatically populates where it needs to in accompany documents." "Keep on doing what you're doing; it's great"
"I would like more information to help potential clients understand the differences between the various certifications out there. There is no apples-to-apples comparison right now. Potential clients seem to simply view a certification as a certification -- with no differentiation." "I would love to see a business case for companies, nonprofits, state career centers, university career centers, etc. (organizations that already have a career services component) bringing in resume writer consultants to conduct training and speaking. I often get the cold shoulder with the attitude of "We already offer what you do," but they don't offer the same level of quality and don't have the same level of expertise (or credentials). I am tired of trying to convince them." "Products that are pre-written so I don't have to use my downtime not writing to write more!" "More potential customer referrals for resume writing." "Speaking engagements: Who, what, when, where, why, how." "I appreciate the resources you produce. They are of excellent quality and tremendously useful to clients. Thank you for your hard work!" Already benefiting with Get Clients Now! but more information/support/resources regarding improving quality of subcontracting relationships, e.g., average income for subcontractor. I think this will benefit the industry generally, both on the subcontractor side and the contracting side." "Continued access to tip sheets and instructional materials for us and for clients." "Survey results like this to understand industry trends and peer perception." "Unbiased information / Bridget's wisdom." 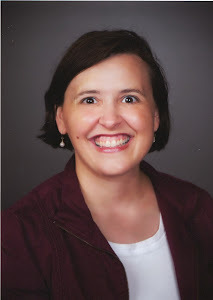 "I love the ready-made special reports (Pass-Along Materials) that I can give to clients to supplement the coaching/resume writing work we are doing." "I love my membership in BARW! It is a goldmine of information and education." "More insight into the daily operation of other resume writing businesses. How do they do it?" "How to establish a membership-based site." I appreciate all the feedback, ideas, and positive comments! Follow-up to Question: What Topic Do You Want to Learn More About in 2015? One of the questions I ask on the Resume Writers' Digest Annual Industry Survey is: "What topic do you want to learn more about in 2015?" In reviewing some of the answers, I see some answers that we've created resources for, so I've included some of the answers with links to these resources (training, special reports, and Pass-Along Materials). Latest innovations in resume writing. ATS update. How to start meeting deadlines and get up and off my seat! The Resume Writers' Digest Annual Industry Survey is an opportunity for resume writers to benchmark their progress compared to their peers. The survey was first conducted in 2001. The 2015 edition of the survey was conducted from May 2015 into June 2015 and the results were reported in December 2015. 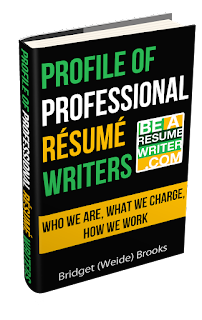 The results were compiled into the "Profile of Professional Resume Writers: Who We Are, What We Charge, How We Work" report. Career industry professionals interested in receiving a complimentary copy of the report can opt-in to receive it here. More than fifty percent of survey respondents are full-time, self-employed resume writers, including subcontract work. Twenty-two percent are self-employed part-time. Anecdotal evidence suggests many of those working part-time have full-time jobs in university career offices, as a recruiter, or working in human resources. Ninety-one percent of those who took the survey are located in the United States. The survey respondents are not "newbies." Only six percent of survey respondents have been in business for fewer than two years. Seventy-five percent of survey respondents report they work from a home office, with another 14 percent having both a home office and a business office. Only eight percent work from a business office (not located in a home), which is a stark contrast from the early years of the Resume Writers' Digest Annual Industry Survey, when a home-based resume writer was the rarity. The number of resume writers who work with clients virtually has steadily increased over the past few years. In this year's survey, 31 percent of resume writers say they only work with clients virtually. Forty-five percent say they work with clients in person and/or virtually, with another 13 percent who say they meet with clients in person, either at the resume writer's home or office. The number of resume writers who use a combination of a phone consultation and questionnaire to gather information from clients has risen slightly from the previous survey. Thirty-five percent of survey respondents report using this combination (up from 33% in 2012), while 21 percent only use questionnaires (up from 16 percent in 2012). The survey revealed that participants write an average of three resumes a week -- a number that has been fairly consistent over the past few years in the survey. Writers reported spending an average of 24 hours a week on resume development (including client consultations, research, writing, and finalization) -- the same number as in the previous survey. The busiest month, according to the survey, is January, followed by September. In the previous survey, February was the second-busiest, with February, March, and April tied for third. The most common hourly rate cited was $150 in this year's survey, double the number in the previous year's survey ($75 in 2012 data, compared to $50 in 2010 and 2011). The hourly average this year is $105.64, a 14 percent increase from $90.87 reported in 2012, and up from $83 an hour average in 2011. The average reported price for a resume and cover letter in 2015's survey is $603.82, which is up almost 20 percent over 2012's figure ($478 in 2012, which was down slightly from 2011's figure of $11). The most frequently-cited amount charged for a resume and cover letter was $350, which was up from $300 in 2012's survey data. LinkedIn profile development services are becoming a bigger part of the "average" resume writer's typical sale, followed by preparing additional resume formats (ASCII and PDF), creating references pages and other supporting documents (thank you letters), and brand development services. Social media profile development (outside of LinkedIn) has declined since the 2012 survey. The percentage of resume writers reporting they get new clients via their website is down three percent from the previous survey, while LinkedIn (and other social media) is up six percent. Yellow Pages advertising, not unexpectedly, has declined from five percent to two percent. Strategic alliances are down from five percent to three percent. Recruiter referrals also dropped three percent from 2012's figures. Blog traffic as a source of new clients also dropped from four percent to two percent. Networking -- not surprisingly -- is a good source of business, generating seven percent of business. Unpaid speaking engagements and community outreach account for three percent of new clients, and public relations/publicity generated another two percent. Forty-four percent of survey respondents report they are certified as resume writers, with another 10 percent saying they have a coaching certification. Twenty-five percent report they are dually certified in resume writing and career coaching, while 20 percent are not certified. Resume writers: Like the information you've read so far? Opt-in to receive the full report here. The full report also includes a "Profile of the 'Average' Resume Writer" and additional resources for career services professionals. * Note: The survey is a voluntary report from participating resume writers and is not considered statistically valid. Looking for Continuing Education Units (CEU) for resume writing? Here's a free training that can earn you one CEU! How long you spend on writing a resume depends on you — but what resume writer doesn’t want to learn strategies to write better resumes even a little more quickly — without sacrificing quality? 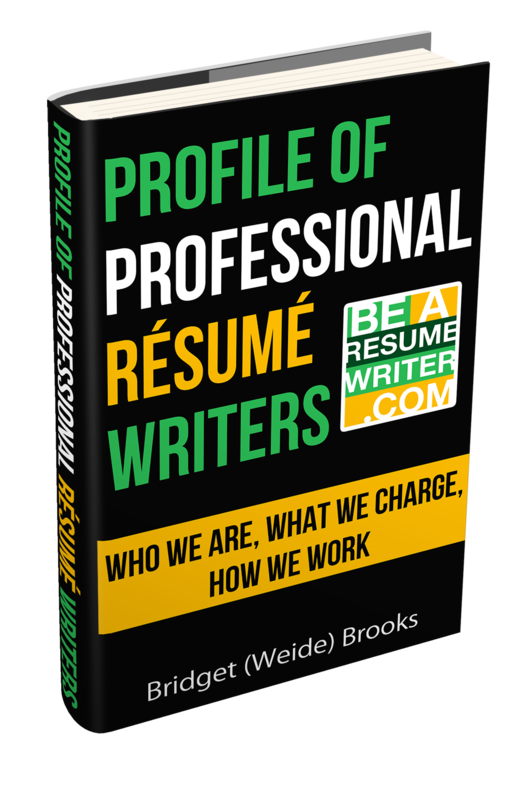 In this presentation, Bridget (Weide) Brooks, CPRW will give you tools and resources to help you reduce the amount of time it takes you to write a resume — while simultaneously improving the effectiveness of the resumes you write. Are you ever stumped on where to start when writing a resume? Do you keep track of how long it takes you to write a resume? Would you like to shave 45 minutes, an hour or two — or more — off your writing time? Looking for ideas on how to create more effective resumes to win your clients an interview? How much more money could you make — or how many more clients could you serve — if you could write resumes even just a little bit faster than you do now — without compromising the quality of the work you produce? The premise of this training — “Write Great Resumes Faster” — is to help resume writers make more money, with less work! Designed for new resume writers and veterans alike, this presentation will address three main areas. The first is the “pre-writing process,” or strategies to implement before you sit down in front of your keyboard to actually write the resume. The second section is on technology and the tools that will help you with the writing part — and the “getting faster” part, which has a lot to do with research and client management. Finally, you’ll get some solid strategies that will help you when it’s just “not working” — when you get stuck. One of the hallmarks of Bridget’s presentations is you’ll get actionable tips and information you can put to use right away, including formulas, cheat sheets, and worksheets. Then, take the quiz! If you score 80% or above (8 out of 10 correct answers), you'll receive a certificate for one CEU. Interested in learning more about how to "Write Great Resumes Faster"?